The city of Santa Cruz, California, has declared today Official Day of the UCSC Banana Slug, in honor of the ugliest, slimiest creature ever chosen as a college sports mascot. The banana slug has been the official mascot for the teams of the University of California at Santa Cruz for 25 years, ever since determined ugly animal lovers won their campaign against the boring alternative, the sea lion. 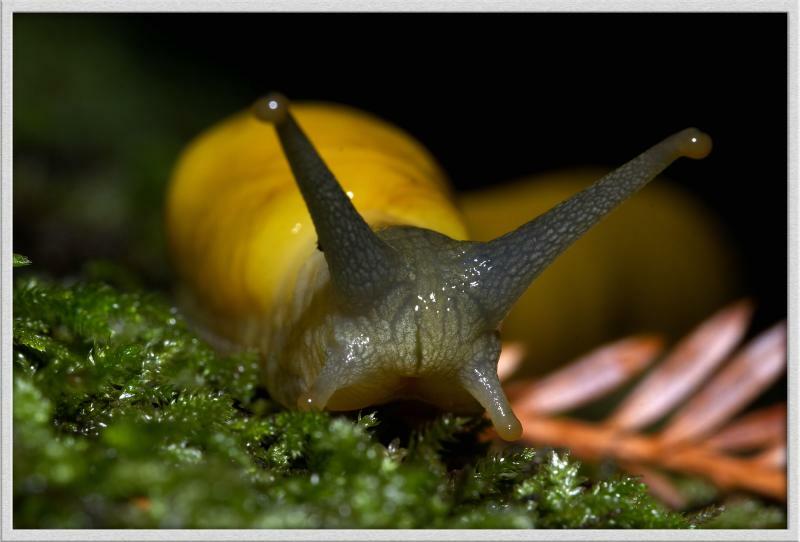 Read about it at the official website here, including a link to a song written in the slug's honor. And you can buy t-shirts and other slug gifts at their online store. They even sell plush slugs, which seems wrong somehow, but it's nice that there's apparently no end to their enthusiasm. Hurricane Irene resulted in evacuations, massive flooding, and nonstop news coverage. It also introduced a lot of people to an animal so ugly, they didn't even guess it was an animal. The gray blobs, summed up accurately by one observer as "pretty disgusting looking,” were reported from New York to Virginia. They also caused a disgusting smell in some places, for example in New Jersey where thousands floated ashore and rotted. The Virginia Institute of Marine Science got so many calls that they finally issued a press release identifying the repulsive globs. 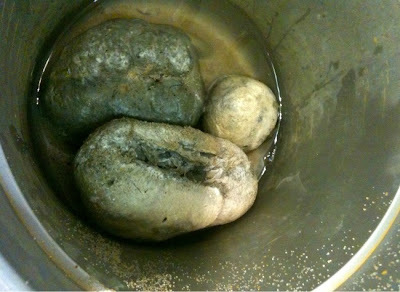 While guesses ranged from tar balls to sewage to ambergris from whales, they really are animals: potato sponges. The potato sponge normally lives attached to the sea floor where we can't see it (thank goodness), but is sometimes dislodged by large storms. Then they get clogged with debris and, no longer able to filter feed, starve to death and rot, causing the lovely odor complained of in some places. The sponges, which can grow to the size of a soccer ball, are harmless aside from the aesthetic damage. However, because the glassy appendages they use to anchor themselves can irritate the skin, you're warned not to touch them - if you're crazy and strong-stomached enough to contemplate such a thing. Zombie caterpillars rain death from treetops! That's the headline (well, without the exclamation point) from Live Science. It's a report of some research that apparently has significance if you care about the specifics of how genes work. 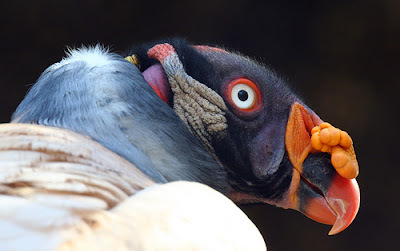 But it's also full of riches if what you're interested in is ugly animals and ugly animal behavior. That's a close up of the face of a gypsy moth. Lovely, right? Also badly behaved. As an invasive species introduced to North America, gypsy moths eat the heck out of our trees. 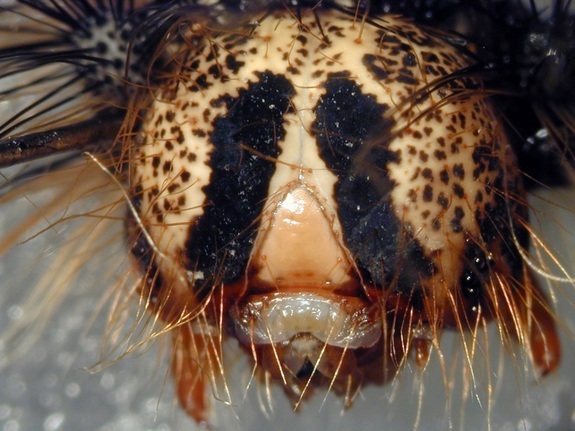 But when you're mad at gypsy moths, you can take pleasure in thinking about a horrific virus that infects them. It changes their behavior, making them climb to the treetops when they'd normally be hiding in a protected spot. It also stops them from molting, so they'll still eat and grow bigger. Soon they die, and that's when the fun really starts: their bodies liquefy, spewing virus-laden goo all over the tree and through the air to infect more moth victims. "Who knew that a virus could change the behavior of its host?" study author Jim Slavicek, of the U.S. Forest Service, said in a statement. "Maybe this is why we go to work when we have a cold." Today is National Threatened Species Day in Australia. The date is chosen because it's significant to a species that may not be strictly speaking ugly, but it's certainly not conventionally beautiful, and I think it's worth taking note of here: the thylacine. 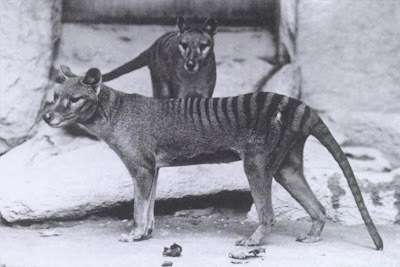 The last thylacine died 75 years ago today at the Hobart Zoo. 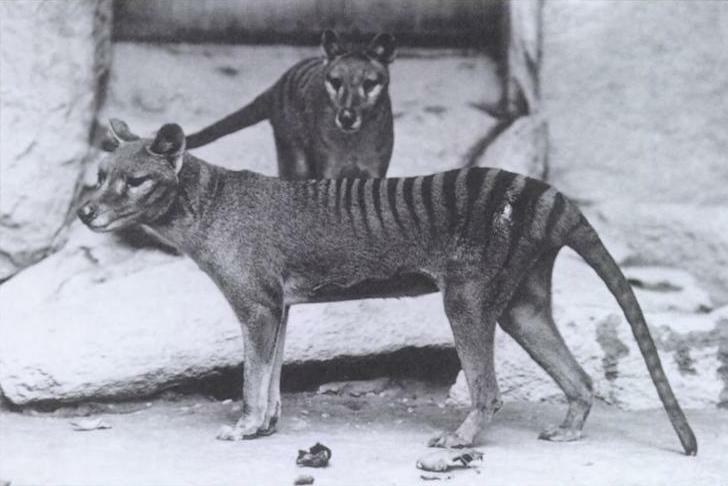 Sometimes called the Tasmanian Wolf or Tasmanian Tiger, it was actually a marsupial, unrelated to canines or cats. It was a carnivore, though, and that was at least part of its downfall: it was hunted by humans because farmers thought it was a danger to their sheep. But to make the story even sadder, recent research suggests that it was killed for a crime it didn't commit: its jaws were actually too weak to hunt and kill such large animals. You can read about the life of the last thylacine at the Thylacine Museum. There's also first-person recollections of an expedition to search for the species in the wild in the 1940s and an amazing amount of other stuff. Check it out. In the United States it's Labor Day weekend, but the heck with that. 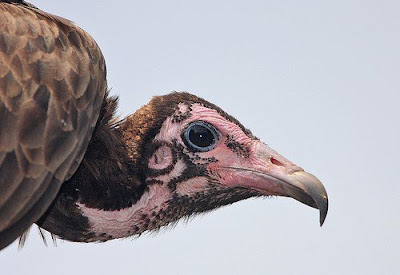 For ugly animal lovers it's much more important that today is International Vulture Awareness Day. So here's a couple more vultures to be aware of. 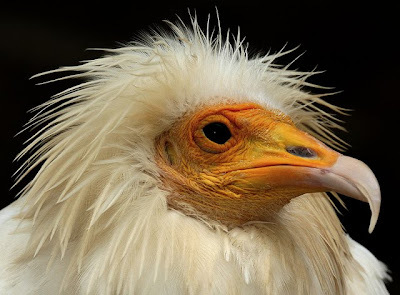 And since it's important to indoctrinate youngsters into the cult of ugly as well, check out Vultures Rock, where they're having a vulture poetry contest for kids 8-12. King vulture and Egyptian vulture by dracobotanicus and hooded vulture by rainbirder.